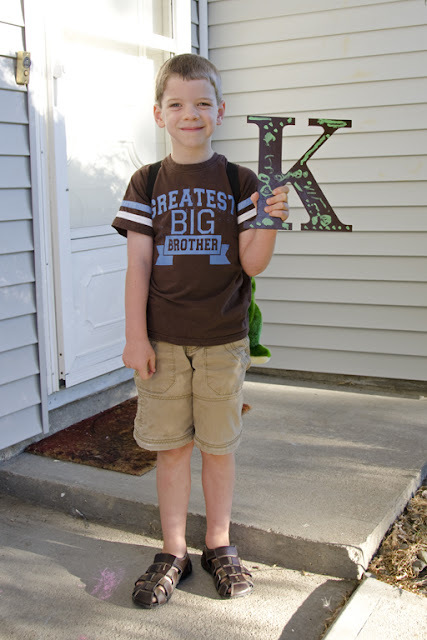 Welcome to Married Life: Wordless Wednesday: First Day of School! Wow, what a great looking guy! Love the K he is holding, it makes the shot so fun.